Donna grew up as a roving military kid. She loves traveling and experiencing a variety of cultures. She married her high school sweetheart and they have two adult children, plus two grandchildren. 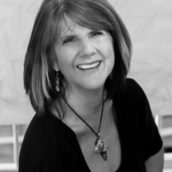 She is a working professional photographer and the owner of Donna Edman Photography, specializing in Portraits, Commercial and Fine Art photography. You can see samples of Donna’s work at her website. Her passion for sharing the love of photography comes from a desire to help kids develop a new “voice” for communicating what is important to them. She began teaching photography to at-risk teens in the community and in a residential facility. Currently, she teaches kids in the home/charter school environment and privately. In her spare time, she enjoys her family, her two dogs Mo and Desto, and swing dancing!